Calendar: «Constitution of Puerto Rico Day», «Constitution Day in Wisconsin», «Constitution Day (Citizenship Day)», «Constitution Day in Northern Mariana Islands», «Fred Korematsu Day of Civil Liberties and the Constitution in California». «We need each other» illustrated quotation. Constitution, free quote pictures for Facebook, Twitter, LinkedIn, Reddit, Pinterest and other social networks. 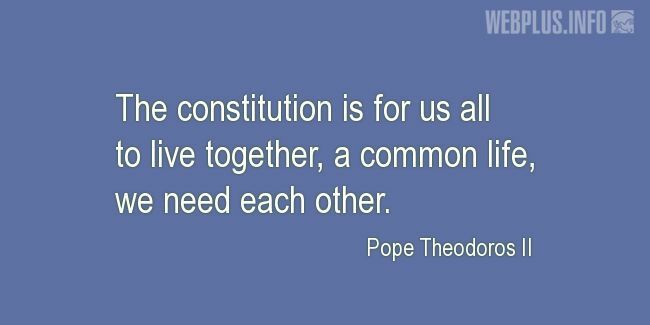 The constitution is for us all to live together, a common life, we need each other.